Note: This applies less to playing the spy in small-sided competitive games, as there are different mechanics in play all together, this is a piece on the spy in regular format TF2 play. Battle is not a concrete, straightforward thing. Many people believe that winning games is all about numbers; kills, deaths. Victory is not merely a body count. In TF2 you can fight battles all day long, and slay hundreds of enemy combatants, and unless that’s your explicit goal (such as in arena mode), they will always return to fight that same battle over the same point or the same target in the next wave of attack. Stalemate. Surely you’ve seen it, where one team is holed up in a defensible position, and the same situation repeats itself, übers are pushed away, advances mowed down by sentry fire, and enemies hammered by critical explosives, all to no avail. This is where the game needs to be changed. This is where we find our friend, the Spy. He doesn’t take the most names, he takes the right ones. This is not strategy guide on the Spy’s gear, or the finite points of aim or twitch reflexes, but rather a series of observations and treatise on the thinking side of the spy, much of which is done subconsciously while you’re playing, and not really thought over save for what makes sense or what seems to be the best idea at the time, regardless of big-picture strategic value. Let’s explore the mind of a cold blooded killer. The spy is not good at battle. He doesn’t have the strongest guns, or the most health, or the fastest speed, but he lends his users one thing that few other classes or loadouts can provide to someone on the battlefield: choice. Choice of action, choice of when to strike and where. He, is a thinking class. When you’re fighting with other classes, you still have this choice, although it tends to be limited to whoever presents the greatest threat to your immediate survival, to kill them first, even if they may not be your target, lest it be a suicide mission. Suicide missions, let’s talk about those. Countless times have I seen spies uncloak and attack enemies who seemingly are distracted, however as soon as the spy strikes, the victim’s teammates take notice and wipe the offending spy off the map. This, while seemingly part of the sacrificial nature of the class, is ultimately unproductive save for the fact that it does lend you an easy kill. In the earlier days of the class, pub players did this all day, and eventually, people wised up, began traveling in groups, and used communication to make sure that any spy attempting this would pay for it with his life. Thus, the Dead Ringer was created in the sniper vs spy update. It was a weapon specifically designed to cater to this playstyle, allowing the spy to engage whatever enemies he saw fit, and use the watch to fool his enemies into thinking that their strategy worked, that they simply blew up the spy after he struck as normal, and that they were safe to continue their game as normal once he was gone. You could now attack more enemies, take greater risks, and not suffer for it, save for patrolling pyros. It gave the spy more choice. It also allowed people to use it to cover their mistakes during botched attempts, and the aforementioned strategy of running into a group, and taking out as many people as you can before dying got easier with this watch. It’s whole concept of trickery was instead used as an emergency shield. Now, I know what you’re thinking “the DR got nerfed, stop whining”. This is true, it’s now on equal footing with the other watches in terms of giving you options, and is less forgiving to sloppy play styles, and less of annoyance to the opponents who are blatantly aware that the spy is not dead. But this article isnt just about a weapon who’s concept fails entirely due to a hitsound-related oversight…. <.< rather it’s about to take advantage of the choices the spy gives you. So the question arises: How to not get wiped out in a gib-filled blast by teammates of your most recent victim? 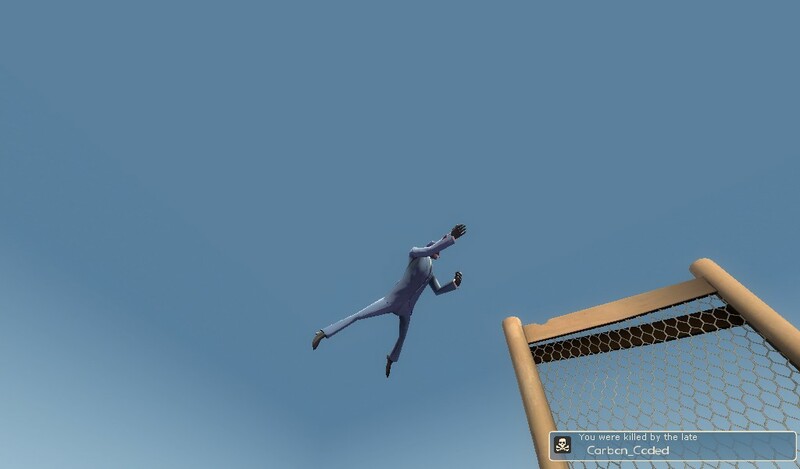 The answer is to stop thinking of the spy in terms of the conventional movie assassin, who enters, kills everyone he meets, then vanishes without a trace, because that will never happen in normal games, what with voice communication, attentive players, and occasionally sheer bad luck, but instead in terms of a cheetah. Why a cheetah you ask? Let’s take a look at feline hunting behavior for a minute and compare it to TF2: the spy and cheetah are both opportunists. When a cheetah stalks its prey in a herd of potential victims, it looks for the easy targets; the sick, old, or wounded. While speedy, the cheetah only has the energy to sprint for a short amount of time, and it is best to not be wasted going after an entire group of enemies, or the strongest, most well defended one. Again: “But Captain that’s the spy’s job to eliminate high value targets!“ Yes, I know, which is why what is considered an “easy target” to a spy and a cheetah are two different things entirely. However the spy and cheetah both share the same drawback of not being very endurance-worthy. When you play the spy, you have to pick your battles. If you’re that good, or get lucky, and are able to eliminate an entire group of enemies and get away free, GO FOR IT. That’s your job. What’s not your job, is to pick that heavy in the midst of crossfire, and have some jerk engineer smash your skull in with a camcorder, and the rest of his team march over your corpse. The option of sacrificing yourself for the sake of the objective is more often than not present, however it is through gauging how much your death will accomplish in the big picture that you become a more effective spy. Sometimes playing the spy means holding back. What seems like a good opportunity for a chain-stab may quickly turn into a death sentence, yet you’d have no way of knowing that unless you took a moment, and considered your options. The Cloak and Dagger gives you all the time in the world to do this, but also lends itself to the temptation of overthinking things and spending all your time cloaked, while your opportune moment flies away. That’s why the stock watch is good for learning how to play the spy, as it forces you to refine your thought process, and think. A good spy will be judicious, arrive at conclusions of what to do with his options efficiently, yet not act on impulse, and think quickly, and decisively. Skills such as trickstabs and revolver aim give you more options, by allowing you to engage enemies in a larger variety of situations, as does managing your disguise choice. Knowing who’s playing what and when is a staple of gamesense, and is needed by the spy, as even the slightest peculiarity in your deception will warrant a potentially fatal spy check from the enemy. There are many situations where what you need to do is often not worth your life, as I mentioned before. Are you going to charge that pomson-wielding engie pair with a pocket pyro protecting a sentry nest, and guarding the door to the intel room on Turbine? I’ve been on both ends of that decision, and as much as you’re able to accomplish with spy skill alone, often times the simplest approach is not the best one. 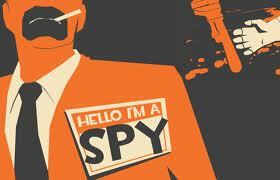 A good spy uses discretion when choosing when to strike, but does not hesitate to wipe out all who stand in his way. Let’s examine how I dealt with that previous situation on a quiet turbine server one day, by taking an excerpt from the titular book, Sun Tzu’s The Art of War- divide and conquer. As opposed to trying to telefrag or sap-and-stab my way to a toasty death, I stopped for a few seconds, and considered my options. 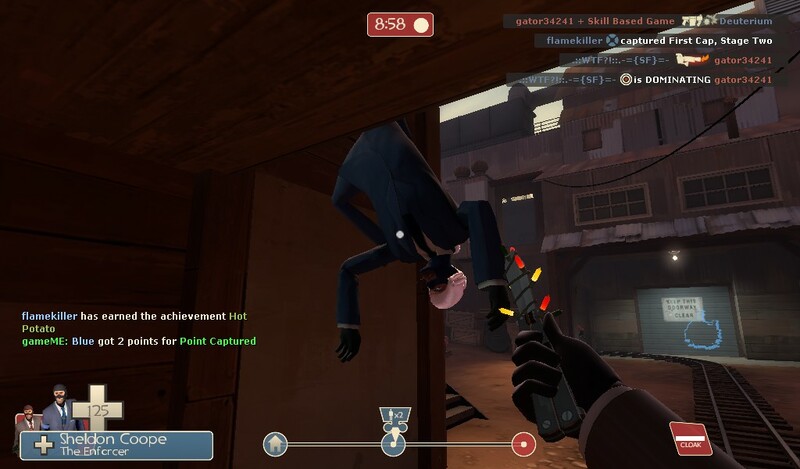 In order to defeat the sentries in that situation, I first left the attack range of the sentry and engies, I waited for the right moment and shot the pyro in the head with the ambassador, from the top of the stairs. A calculated risk, as I made sure there were few teammates respawning at the time, and none heading in that direction by communicating with my team. With him dead, I squeezed off a few more shots before the first engie gave chase, leaving his partner to tend to the gear, and made sure he found his way into the vents, where he was an easy pick, running in a straight line. 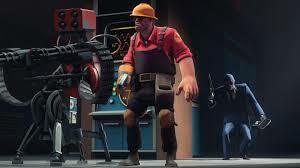 The remaining engie was drawn away in the same method, although instead of fighting him, I cloaked, and ran the opposite direction towards his gear, sapping it while he searched the vents. However, this left me carrying the intel, the engie who realized his stuff was under attack, and the other engie and pyro who respawned and was eager for revenge. Fortunately, I was able to accomplish all this while my teammates were playing deathmatch mode outside for lack of wanting to deal with the engie nest, and upon realizing the intel was picked up and the guns were down, came to help so they could win, and get us off the map more quickly. I did die in the ensuing firefight, but my actions freed up an opportunity for my otherwise distracted team to escape with the intel, and win the game. In the end, it’s all about picking your battles, and not jumping at the first opportunity to strike, as you may win a personal battle with you KDR, yet lose the war your team was fighting. ← Is Scout really a “Generalist” class?